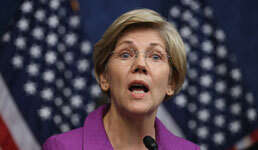 Financial Advisor IQ - Will the Democrats’ Tax Proposals Really Affect UHNW Clients? Sen. Elizabeth Warren, D-Mass., plans to propose a 2% annual wealth tax on Americans with $50 million or more in assets, and a 3% tax on those with $1 billion or more, according to news reports. Whether her plan or other left-leaning tax proposals from fellow Democrats will succeed, however, is far from certain. Warren’s proposed tax would affect around 75,000 families — less than 0.1% of U.S. households — while bringing in $2.75 trillion over the next decade, Emmanuel Saez tells the Washington Post. Saez and fellow University of California, Berkeley, economist Gabriel Zucman are advising the senator on the proposal, which Saez says was put together in two weeks but takes into account years of research, according to the paper. The economists had originally proposed a 1% tax on incomes above $10 million, according to a letter they had sent to Warren earlier this month that was obtained by the Post. According to the letter, the wealthiest 1% in the U.S. currently face a total tax burden of 3.2% relative to their wealth, the paper writes. The bottom 99%, meanwhile, face a 7.2% total tax burden relative to their wealth, the economists wrote, according to the Post. The proposal also includes several measures to combat tax evasion, a person familiar with the plan tells the Post. These include increased funding for the IRS, a mandatory audit rate on those subject to the wealth tax, and a tax penalty for those subject to the tax who renounce their U.S. citizenship, the person tells the paper. Warren recently announced her presidential bid, and her campaign declined to comment on the details of the plan to the Post. But at least one influential economist has dismissed the plan as unrealistic. Shiller also tells the news service that Warren likely harmed her chances of winning the U.S. presidency as a result of the proposal. Other plans by Democratic legislators may also be doomed, experts say. Rep. Alexandria Ocasio-Cortez, D-N.Y., is mulling raising the marginal tax rate to 70% on incomes above $10 million, Saez and Zuchman wrote in an op-ed in the New York Times last week. Any tax overhaul targeting the ultra wealthy, however, will have to contend with “the clever and complicated techniques” they have at their disposal to avoid taxes, Bloomberg writes. “The lesson is that the details are going to matter a lot,” Eric Zwick, an associate professor at the University of Chicago Booth School of Business and co-author of a recent study, tells the news service. Along with three other economists, including the Treasury Department’s Matthew Smith, Zwick co-authors a recent study that purports to show that merely raising marginal income tax rates will not adequately address wealth inequality in the U.S., according to Bloomberg. “You have to enforce the rules and keep track of people and how they’re changing the nature of their income in response to the rates,” Zwick tells the news service. To read the The New York Times article cited in this story, click here if you have a paid subscription. To read the Washington Post article cited in this story, click here.